Astellas is a global pharmaceutical company with many different divisions to its operations. This is reflected in the work that we have done with them. 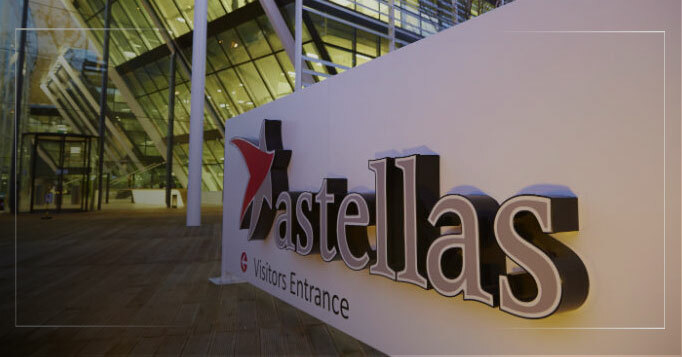 Our work for Astellas has included filming which has seen us carry out a piece to cameras with the CEO of the company, for use as part of internal campaigns and training programs. We have filmed testimonial interviews with team members and outside contractors which have been used as part of internal training programs, management programs and more. We have also provided editing services for footage shot by team members when on retreats and team building exercises. These have often been provided to us from abroad, edited and returned for presentation at the event, within 24 hours. On one occasion, we travelled to Belgium to attend an event, assist with the team members filming and edit onsite for presentation at the finale of the event the following day. We have also assisted with the process of screen capture to show the various aspects of internal software systems and then created ‘training’ videos using on-screen annotations. Working with Astellas has been a pleasure, knowing our skills can assist them in multiple ways and help strengthen their team members skill sets. For a promotional video quote, please email us on [email protected] or Contact Us and we will then get back to you to discuss the project in more depth.